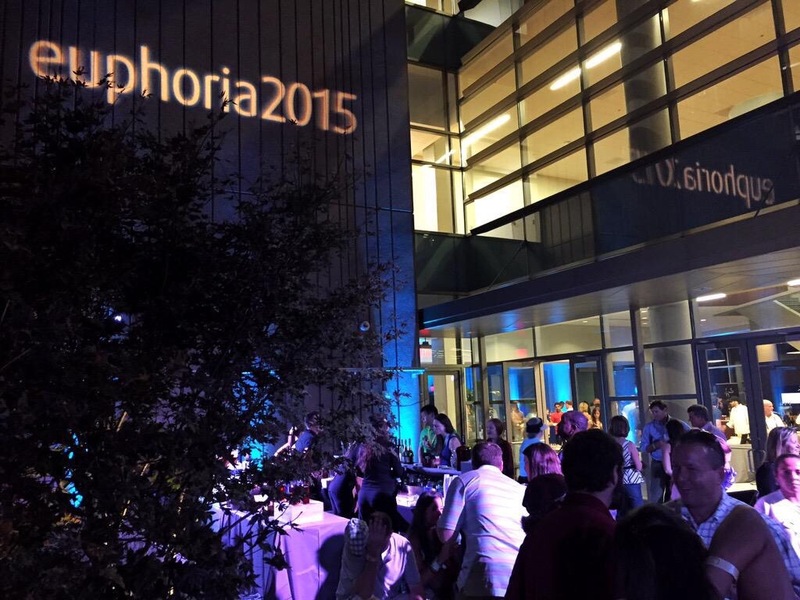 In September we were lucky enough to go to two events at Euphoria in Greenville, South Carolina. It was the ultimate eater’s paradise. Chefs from the southeast show off their very best. We went to the brunch and dessert showcases. My favorite sweet treat was a flan dish. The texture was silky and luscious. I couldn’t get enough. I haven’t stopped thinking about the custard creation. 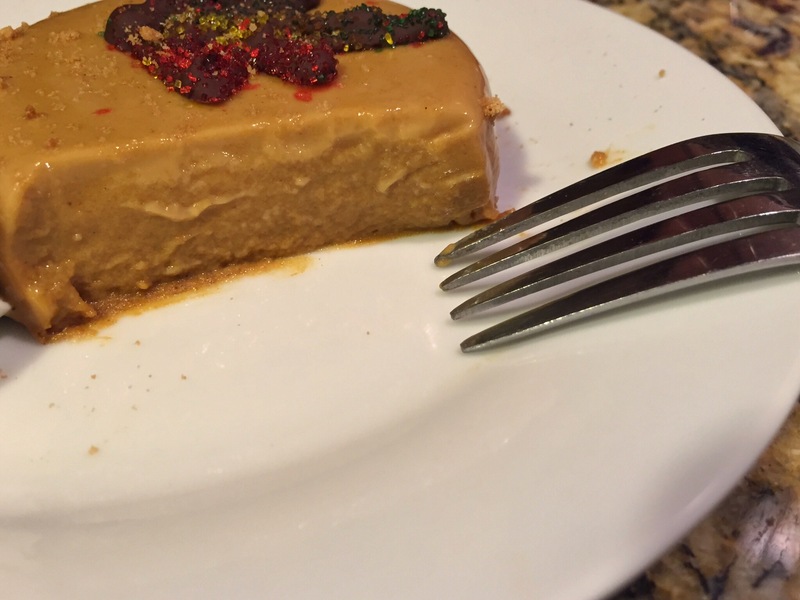 More recently, I watched an on-line video of celebrity chef Ellie Krieger making a healthier, and I use that term loosely, pumpkin flan. I wanted to lick the screen. Needless to say, I’ve been dying to make flan. But the truth is that I’m not very good at it. The last time I tried it was kind of curdled. Think sweet scrambly eggs in the shape of a dome. Not good. 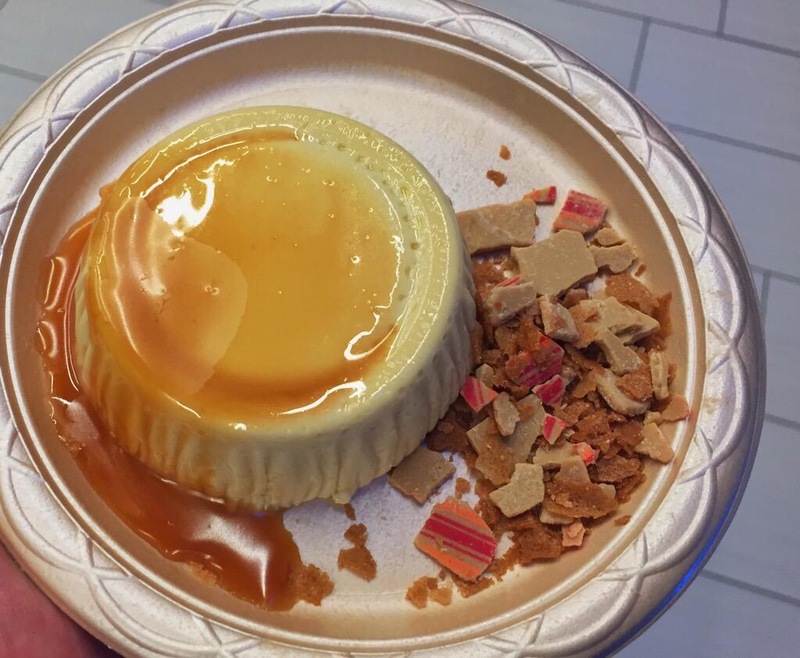 Flan can be finicky, because there are eggs involved. My search for a solution led me to panna cotta. It means “cooked cream” in Italian. It’s kind of a mix between jello and pudding. Gelatin is the magic ingredient that holds it together. And guess what, you don’t have to bake it. Hooray! This time of year you’re only somebody if you celebrate pumpkin spice and the seasonal celebrity, pumpkin spice latte. 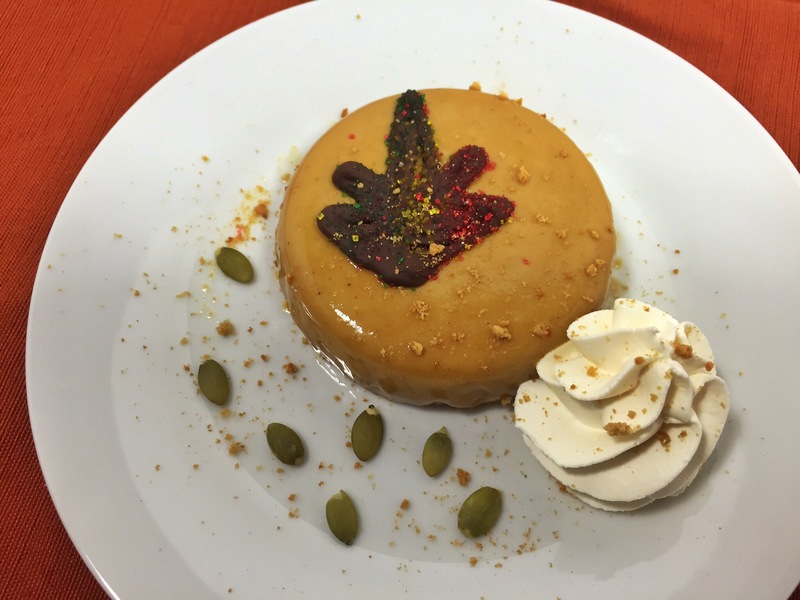 So here’s my contribution: pumpkin spice latte panna cotta. 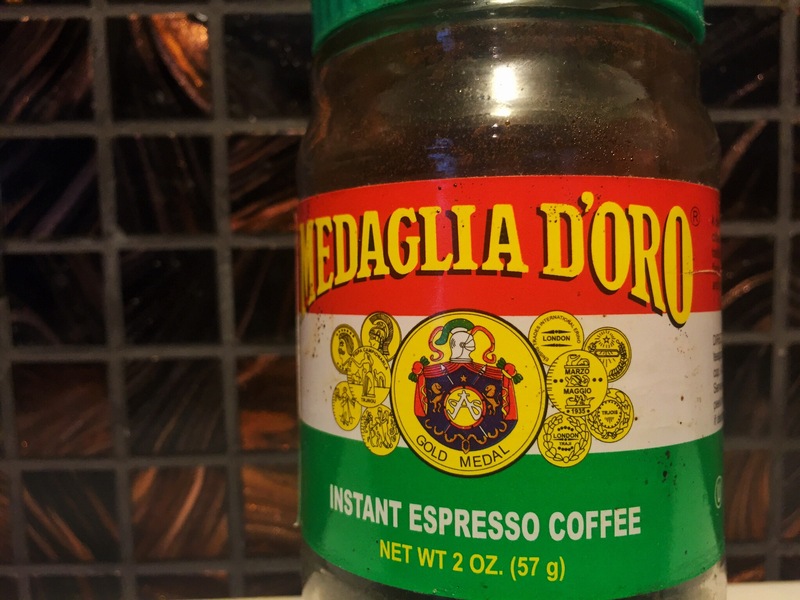 The secret is instant espresso powder. You don’t use it to make a cup of espresso. It’s more of a cooking tool. I add a pinch to chocolate cake batter, chocolate icing, and chocolate ganache. It heightens the chocolate flavor without adding coffee flavor. But in this dessert, I amped up the amount. 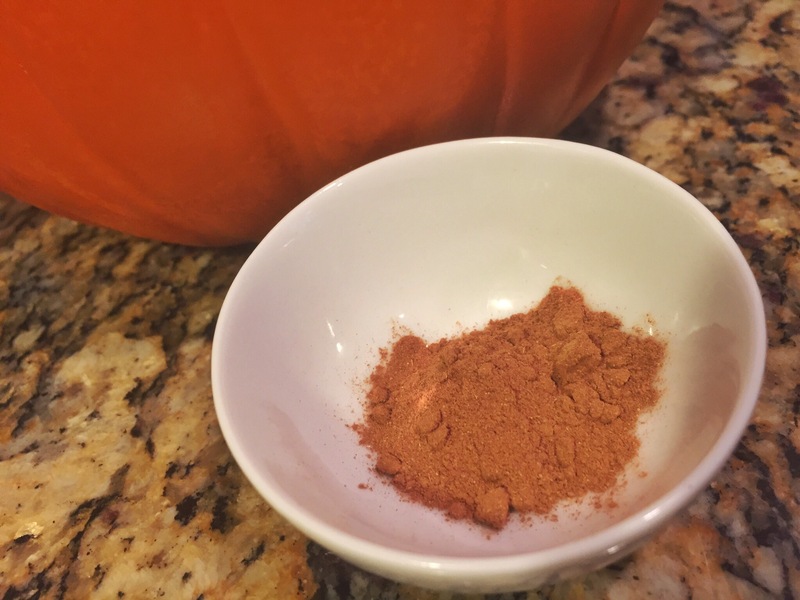 You get pumpkin and pumpkin pie spice flavor off the top, with a back note of coffee. Before we get to it, let me show you just how I love food and you, dear reader. While documenting every step of this recipe, my camera did an Olympic-style dive into the blender pitcher filled with both milks, the sugar, and the espresso powder. Despite a wash and a long hangout in a bowl of rice, it died. Sad.But still, I trudged on, camera-phone in hand, so you wouldn’t miss a beat. Aren’t I kind? Ok, now for the camera-killing panna cotta recipe. Put 1/2 cup of milk in a medium-sized pot and sprinkle the gelatin over it. Let it sit, while you put the remaining ingredients in a blender and blend them till they’re one smooth mixture. Heat the milk and gelatin over medium-low heat until the gelatin dissolves. Stir occasionally. 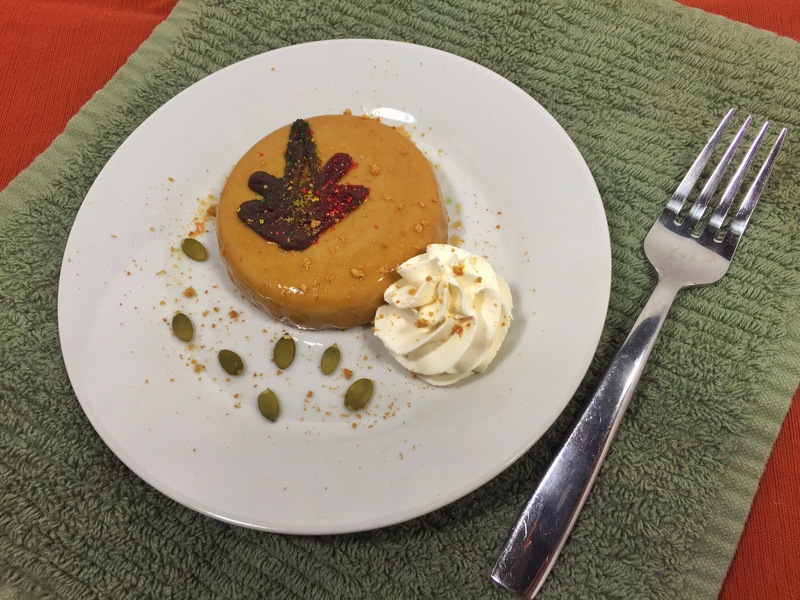 When the gelatin dissolves, add the pumpkin mixture and stir. Turn up the heat to medium and cook for 5-7 minutes or until the mixture starts to steam. While the mixture cooks, set out 8 small ramekins on a cookie sheet. You could also use bowls, teacups, wine glasses or martini glasses. When the pumpkin cream starts to steam, turn off the heat and remove it from the stove. Pour it into a large measuring cup or if you’re feeling brave, just pour it from the pot. You want to fill each container evenly. Divvy up the umpkin cream based on the size of your containers. Let them sit for about 5 minutes and then transfer the filled cups to the refrigerator. Let them chill at least 4 hours or overnight. Put the chocolate in a pastry bag or a resealable bag. 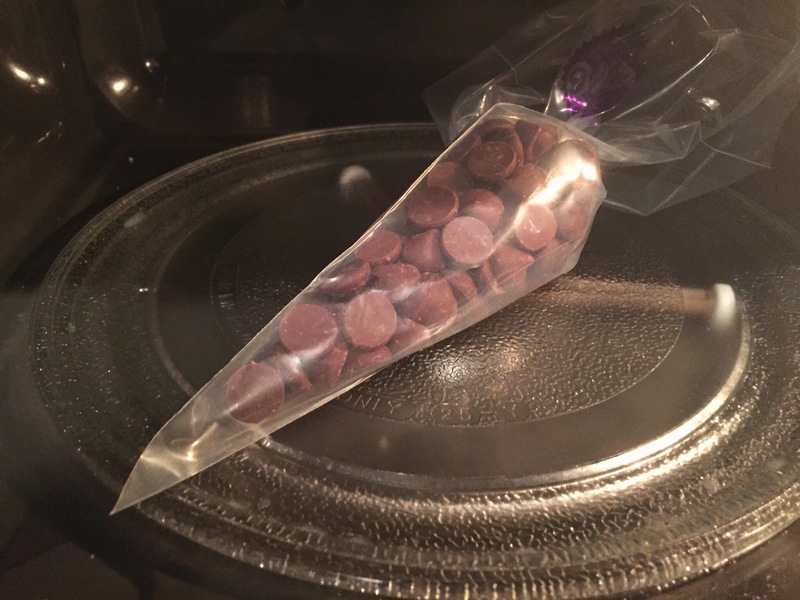 Microwave at 30 second intervals until the chocolate melts. Line a small cookie sheet with wax paper, snip the tip of the chocolate-filled bag, and pipe leaf designs onto the wax paper. 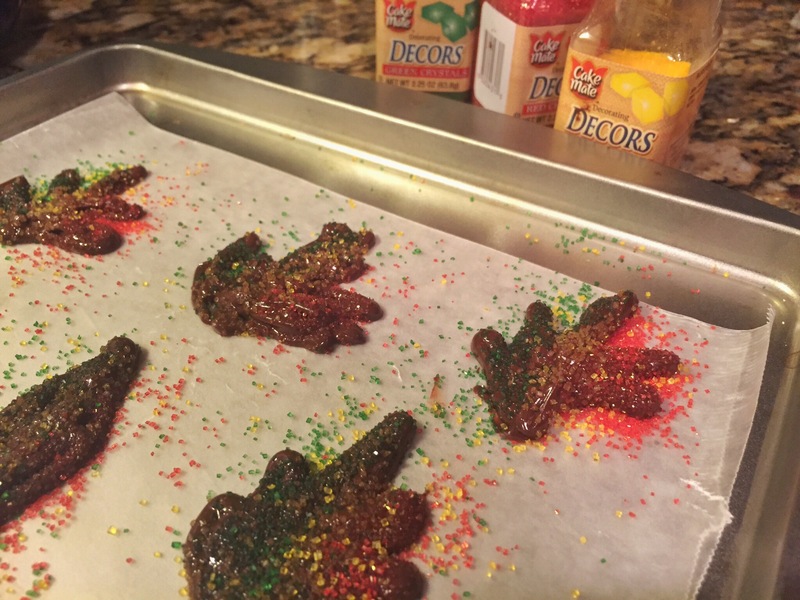 Immediately sprinkle the leaves with different colors of sugar sprinkles. I used red, green, and yellow. Set the leaves in the fridge to harden. For serving, you’ll need to decide how you want to do it. You can eat the panna cotta out of containers or if you used ramekins, you can invert the panna cotta onto small plates. For inverting, fill a bowl halfway with hot water. Run a knife around the edges of the panna cotta, then set the ramekin in the hot water. 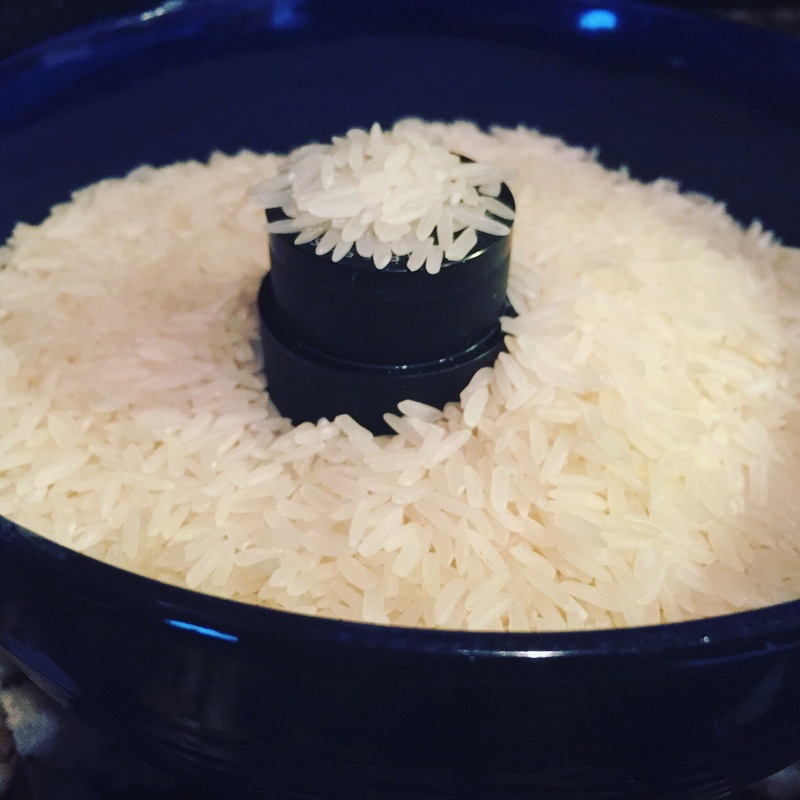 Don’t let the water get into the ramekin. Hold it. Let it sit in the water for about 10 seconds. Then put a plate on top of the ramekin and flip it. Say a prayer. Jiggle the ramekin, and hope that the panna cotta plops out. Add a dollop of whipped cream, a chocolate leaf, and whatever garnishes you’d like. Caramel would be great! My partner in cuisine crime is a texture-phobe, so panna cotta is a bit odd for him. I love it. It’s creamy and smooth. If you’re not a coffee fan, leave out the espresso powder. The flavor mimicks pumpkin pie, but there’s no crust! You could add a sprinkle of crushed graham crackers if you’d like. 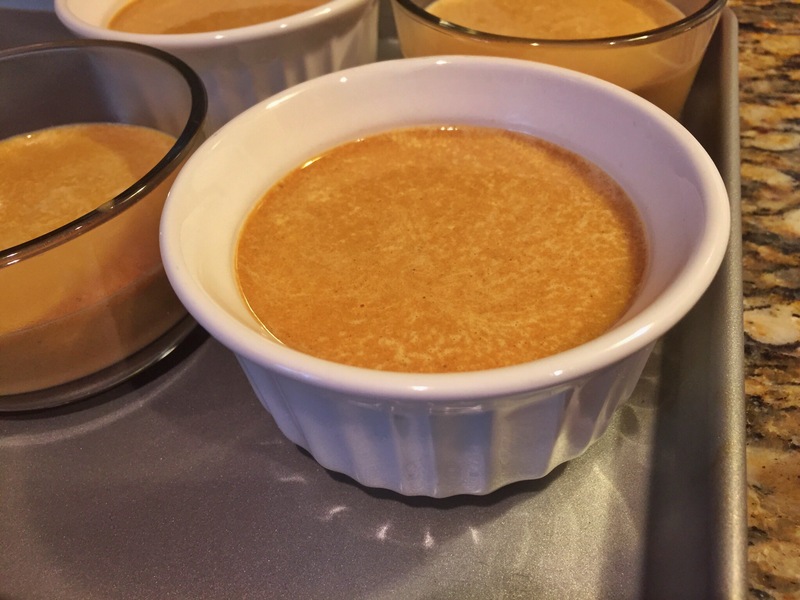 Panna cotta usually calls for heavy cream, but I lightened it up by using evaporated milk. Each panna cotta is less than 140 calories (if you make 8)! 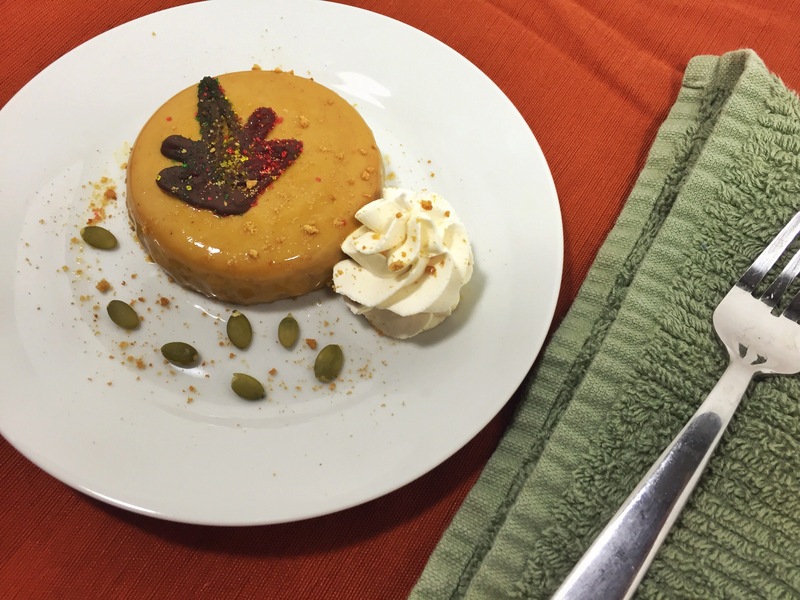 Leaf flan for another day and fall for my pumpkin spice latte panna cotta! Tip: Try the panna cotta with maple whipped cream. Whip one cup heavy cream with 1/4 cup REAL maple syrup.